Just a Little Ink: Winter has arrived! This card looks a bit like it does outside my window this morning. Winter has arrived in Colorado. Makes for a great day to be inside stamping! 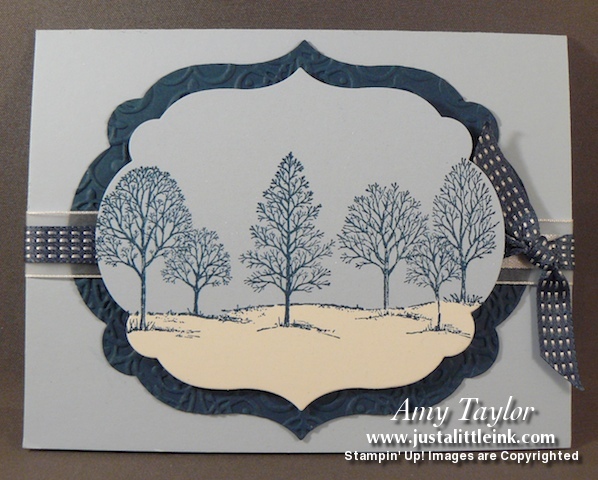 This was my make & take for the Kindred Inkers group this past Monday. The theme was winter, and I thought this fit the bill. You can't see the shimmer that is sprayed onto the image, but it makes it look sparkly like winter snow.